GREENVILLE - Noble Lee Crick, 83, of Greenville, died Thursday, December 10, 2015, at 3:50AM at Owensboro Health Muhlenberg Community Hospital. Mr. Crick was born September 21, 1932, in Muhlenberg County. He was a machine operator at Eldorado Chemical Co. He was a member of Olive Grove General Baptist Church, and also attended Elkton Road Church. He was preceded in death by his wife, Clara Crick; son Anthony Crick; sister Dorothy Drake; brothers Woody Crick and L.D. Crick; and parents Buster and Rosie Crick. 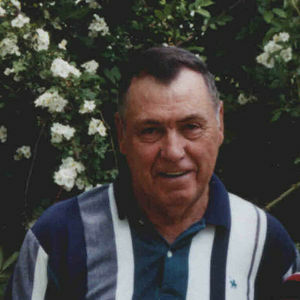 He is survived by his sons, Jimmy (Joan) Crick of Owensboro and Tommy (Angela) Crick of Powderly; daughter Carla (John) Harkins of Greenville; grandchildren Vanessa Ewing, Kristen Crick, Brian Crick, Amanda Lipsy, Rosanna Phillips, Curtis Crick, Kimberly Smith, Ethan Crick, Collin Laster, Kayla Chambers, and Bryson Harkins; fifteen great-grandchildren; brother Bill (Deanie) Crick of Hopkinsivlle; and sisters Edna Chandler of Greenville, Thelma (Milford) Brooks of Greenville, Dona (Jimmy) Vincent of Central City, and Minnie Gibson of Bremen. Funeral services will be Sunday, December 13, 2015, at 2:00PM at Tucker Funeral Home in Central City, with Rev. Bill Bryant officiating. Burial in Friendship Cemetery. Visitation will be Saturday after 5:00PM at the funeral home. Online condolences may be made at www.tuckerfuneralhomes.com. The beautiful and interactive Eternal Tribute tells Noble's life story the way it deserves to be told in words, pictures and video. Thoughts and prayers are with you. May your memories of your dad be a comfort to you and your family in the days of come.